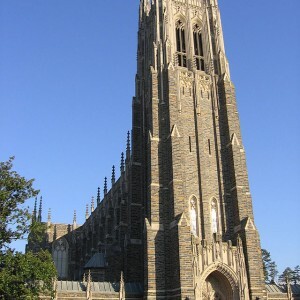 DURHAM, N.C. — Officials at Duke University have made changes to their original announcement that the Muslim call to prayer would be broadcast over the chapel’s bell tower each week, and has instead moved the call outside following national outcry. The school had outlined in its student paper on Tuesday that the “moderately amplified” chant would take place beginning today. But as the call to prayer made headlines nationwide, some expressed concern over the accommodation in light of the violence that thousands of Muslims are committing worldwide in the name of Allah, whom they believe has called them to take over the world with Sharia law. Franklin Graham urged sponsors to withhold their funding until Duke ends the practice. According to the Associated Press, Duke University was also flooded with calls and emails from those that opposed the accommodation. On Thursday, the university announced that it had changed its plans. Instead of having the Muslim call to prayer broadcast from the chapel bell tower, Islamic students will instead gather outside of the chapel to chant their call to prayer before moving inside to continue their meeting. The adhan may or may not be amplified—the decision has been left up to the students. Duke University, which was founded by Methodists and Quakers in the 1800’s and carries the motto “Knowledge and Faith,” notes that it hired its first full-time Muslim chaplain in 2009 and also launched its Center for Muslim Life that same year. It says that there are more than 700 students at the Bible Belt university that identify as Muslim.